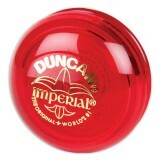 Donald Duncan, is that man that brought YoYos into prominence starting in the 1930's. 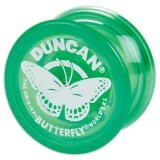 Duncan was the first to introduce plastic YoYos and the butterfly-shaped YoYos. 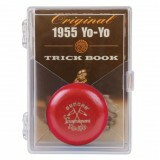 These days Duncan-brand YoYos are still extremely popular - with a history like they have, why wouldn't they be? 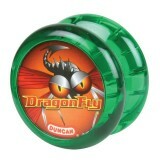 See our range of Duncan YoYos below! 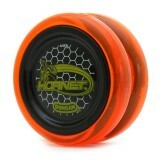 THE Original, Wide-Body Beginners YoYo! 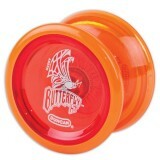 The Duncan Butterfly is the best-selling string trick Y..
Based on world famous Butterfly®, Butterfly XT™ features modern yo-yo technology such as a large.. 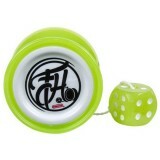 The Duncan Crossed Flags Tournament yoyo is an exact reproduction of one of Duncan®'s most.. 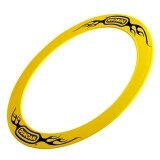 The Duncan Dragonfly™ has all the features of the popular Bumble Bee™, but with a wide/flared sh.. 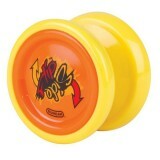 Introducing the all new Duncan Flipside™! 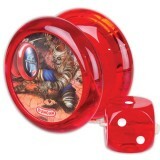 The Flipside features a patent pending ball-bearing sp.. 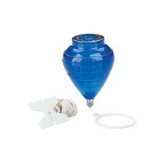 The Duncan® Gyroscope is one of the most popular educational toys on the market. Featurin.. 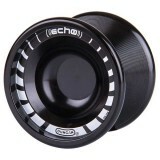 The original and #1 looping yo-yo of all time! 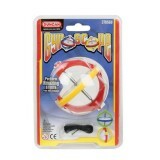 First introduced in 1954, Imperial® has become wo..
Duncan® Juggling Rings are great for any beginner or advanced juggler looking to step out of the..